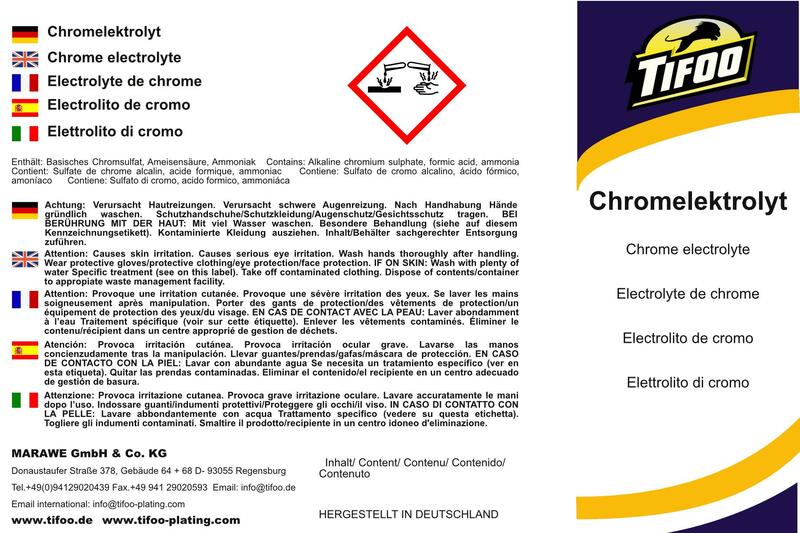 Product information "Chrome plating solution"
not suitable for tank plating! This chrome electrolyte for pen plating gives your objetcs the certain je ne sais quoi. A bright chrome layer impresses everyone. The chrome electrolyte is suited for selfmade chrome-plating of small items, car parts and numerous other objects. With our chrome bath with a base of chrome-(III), you'll achieve bright and decorative chrome layers. Please keep in mind that chrome-(VI)-salts usually enable a brighter chrome layer, but as they are highly toxic, they can't be sold to private costumers. Please only use this electrolyte for pen plating and with a nickel anode. 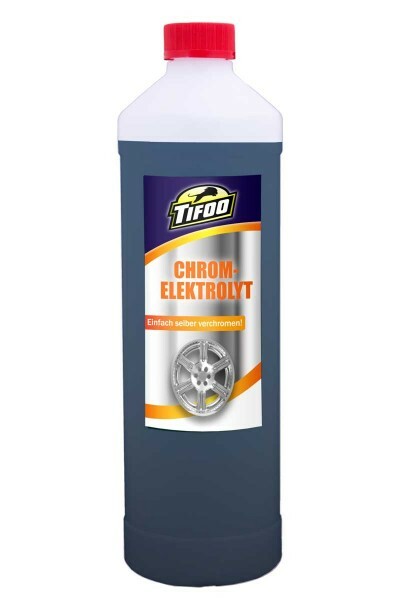 Easy selfmade chrome-plating with the Tifoo Chrome electrolyte! Related links to "Chrome plating solution"
Instruction manual for Tifoo Chrome plating solution as PDF file. Customer evaluation for "Chrome plating solution"